Egypt: What Do We Do? The battle lines have been drawn sadly in Cairo after the bloody killings on Monday, and I do not mean just in Egypt – but rather also in the U.S. Foreign policy community and probably in the Obama administration on what to do or not do about Egypt. The events on Monday make clear the difficulties of forming a government and makes national unity harder, if not impossible. There is good reason for both caution and working behind the headlines with the varied powers and groups that make up the Egyptian landscape that is shifting rapidly with every hour. The killings Monday by the Egyptian military can’t help but inflame the situation and could make the possibility of a peaceful and stable situation more and more remote. It is the worst possible event and outcome for the military, the moderate opposition, and even the Muslim Brotherhood. It also makes it more difficult but also more imperative for the U.S. and other nations to urge restraints and peaceful dialogue. In Egypt, Mohamed El Baradei, a key liberal leader, said, “Violence begets violence and should be strongly condemned.” The killings were horrific and even if there were arms used by the backers of the MB, the military use of force was out of proportion and unnecessary when other restraints were available. Further, the severe and misleading statements after the killings by the military and anti-Morsi groups can only further alienate the MB backers who need, in the end, to be integrated into the political process. This week-end also saw a plenitude of advocacy and “analysis” articles and editorials urging opposing courses of action: the U.S. should work with the Generals, or to call for Morsi’s return, or cutting off swiftly military and other assistance to force a rapid return to democratic governance. Some want to wash their hands of the whole region. After Mondays events it will be more difficult for the U.S. to justify not cutting off military assistance, yet a case can be made to wait and keep the leverage that goes with it. On Monday before news of the Cairo events were fully known, the White House Press Spokesman indicated that Obama’s administration was in no hurry to cut off assistance, noted the long historical and national security ties we have with Egypt, and called for early return to “democratic governance.” What was clear was the administration’s attempt to act quietly and with great care in what is a very fluid and dangerous situation, hoping not make things worse or draw added anger towards America and American interests. The push for hasty and thoughtless action is wrongheaded and probably counterproductive. What some call “too cautious” or “timid” is, in this case, the act of experience and wisdom. And, in fact, we are “acting/moving” but not out in public and Obama is getting “Hell” wrongly from those who would wish him ill or who are pushing for narrow motives. Here Robert Kagan who seems, despite wanting an immediate end of assistance to Egypt, to long for another military dictatorship, (note his view of keeping Mubarak), and setting the blame on Obama for all that has gone wrong in Egypt, despite not knowing or admitting the full record of what we did or did not really do at the time of the 2010 revolution against Mubarak. Nor has he correctly assessed the work that has been going on by our diplomatic and national security team in the last few months. Some of it is coming out and shows deep engagement in efforts to bring reconciliation and urge a more democratic approach of the contending groups including the military. But he is willing again to write without full knowledge of Obama’s efforts : “It is past time to get out of this rut of failure. Better to learn from our history than to repeat it. It will be sad if some future American president has to apologize to Egyptians for what Barack Obama did, and did not do, in 2013.” Again the right’s partisanship in Washington gets in the way of good judgement! Kagan is clearly conflicted by his stated support for democratic outcomes and yet also can’t see or acknowledge in America’s present approach to Egypt that Obama is on the side of such a goal but works with the reality and behind the scenes on the ground. Yet in his Brookings essay Kagan seems to downplay past Republican administrations far worse actions supporting the most brutal murderous dictatorships of the right like in places like Chile, Guatemala, Nicaragua, or in the Arab world — the latter which both parties made their peace with in the name of oil and US business interests in the past. On the other side of those who want the immediate gratification of acting against the current most powerful and now executive power in Egypt, is likely to result in a undesired backlash and, in the end, of less leverage over those most disposed to listen to us and of moving to a good outcome. Both some Republican and some Democratic Congressional leaders are calling for immediate cut in military aid. The real question is that the best path now for US interests in progress for Egypt and democracy? Indyk also is against immediately stopping U.S. military assistance (now some $1.5 billion), and I agree with him that such action would lessen the probability of the military moving towards either democracy or listening to our views on establishing stability, security, or democracy. Yet, there may be a point when withholding such aid will be necessary either under current law or if the military acts, as it has on Monday, in such a harsh directorial or repressive ways to undermine the hope for broad reconciliation and true democracy. This will take a fine assessment of a difficult and opaque situation and high uncertainty of the impact of our acts. Thus it has been and will continue to be the case with a world in rapidly moving turmoil. My recommendation is to give some time for democracy to work, even quietly, knowing we venture into uncertain terrain and the outcome, no matter what we do or not do, will be more determined by the facts on the ground than ours or even others’ efforts. Obama and his team have actively been in dialogue with the contending parties, including the Muslim Brotherhood, and this should even today continue. In short, this is against the cry for not trying to influence the direction of this very key country towards a path that will bring better and safer lives to its citizens and the region. More on this topic in later posts and we welcome comments! Previous Article A DARKER, CHANGING, COMPLEX AND MORE DANGEROUS WORLD? To up date the last post on Egypt, the nation has become more polarized and there are fears of increased demonstrations and clashes including during the Muslim month of Ramadan. 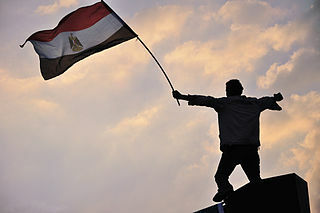 But there are also reports that gas and bread are now available on the streets of Cairo as well a regular power and celebrations are going on in hopes of a better future. The new military led government is made up of mostly technocrats and left over experts/civil servants from the pre-Morsi period. The Muslim Brotherhood is still calling for demonstrations especially this Friday when they hope for a million man march centered at the Rabaa al-Adawiya mosque and there are anti-Morsi groups, the latter based at Tahrir Square. The new government has been bolstered by a $12 billion pledged in assistance from Saudi Arabia, United Arab Emirates, and Kuwait. But the military has played a harsh hand also in the use of force that killed 51 Muslim Brotherhood supporters, imposing restrictions on the media, and placing in detention Brotherhood leaders. The military said that democracy would return but the path has not be defined and a new constitutional process has be announced but little details. American policy remains cautious, as it should, given the continued volatility. The White House remains supporting the inclusion of all groups in a future governance structure. The U.S. continues to talk to all sides and have not formally declared a military “Coup” and withheld aid in order to maintain our leverage with the existing military powers. How long this stance can last is uncertain. Congress seems inclined to push for immediate cut off of assistance. I doubt that we can have much influence but we and our European allies do have some to moderate the military rule and push for early and fair elections under a democratic constitution where minority rights are protected. A tall order and the actions and forces in Egypt in the coming weeks will give us a better fixed on what the future might hold. This is not a time for hasty decisions or a lot of tough public stands that can alienate those that must be part of Egypt’s future political order.